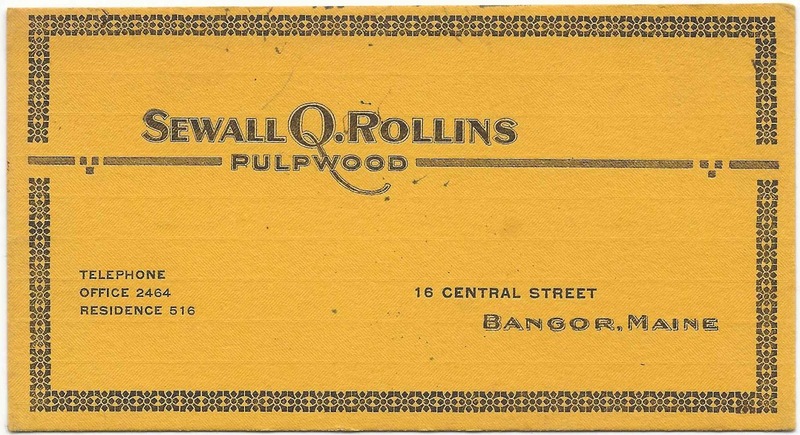 Blotter from the business of Sewall Q. Rollins of 16 Central Street, Bangor, Maine. 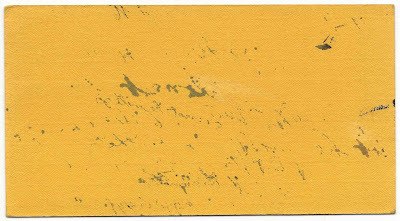 Sewall Quimby Rollins was born 4 February 1890 at Wesley, Maine, the son of Daniel G. and Nettie Grace (Fox) Rollins, who were married at Wesley, Maine, on 23 August 1886. Daniel G. Rollins was born 25 March 1852 at Wesley, Maine, the son of Davis Washington Rollins and Clarinda (Gray) Rollins. 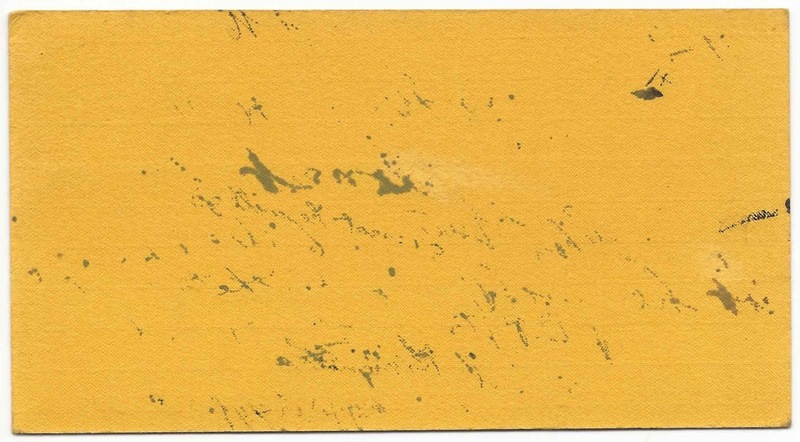 Nettie G. Fox was born 25 June 1863 at Wesley, Maine, the daughter of John and Lavinia (Averill) Fox. 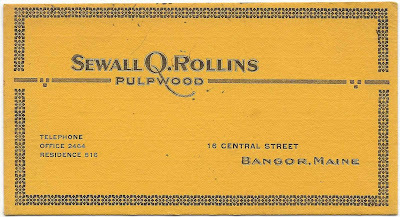 Sewall Q. Rollins served overseas in World War I; at the time he filled out his draft enlistment card, he was living at Bangor, Maine. On 20 June 1923, Sewall married Marion Louise P. Gray of Lubec, Maine. Marion was born 2 August 1892 at Lubec, Maine, the daughter of James Harrison Gray and Mary (Thomas) Gray, who were born at Wesley, Maine, and Waite or Princeton, Maine, respectively. Sewall and Marion lived at Bangor, Maine, and had at least one child, a daughter.